High level of blood sugar should be kept under control at all times, but for women expecting the baby this condition is even more serious. Whether they are already suffering from diabetes type 1 or type 2, or from gestational diabetes, developed in pregnancy, they must take care of their blood glucose level. Doctors recommend strict diet, regular physical activity and medical attention to all pregnant women experiencing some diabetes problems. All irregularities with the amount of blood sugar during the pregnancy may have serious impact to the unborn child and therefore these conditions should be properly managed, with the help of the doctors. Any unborn baby whose mother suffers from gestational or some other type of diabetes is under risk to develop some congenital birth defects. 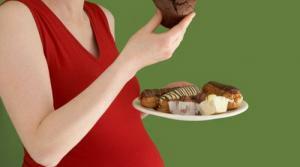 In some case fetal death may also be caused by gestational diabetes. Ketoacidosis is one of the most severe complications that might be caused by diabetes. Mothers suffering from this condition experience increase of blood acidity which affects the child as well. Child’s enzymes can’t function properly in this highly acidic environment and there is an increase of 50% in fetal death rates caused specifically by this condition. Congenital birth defects are also frequent in children whose mothers are diabetic, especially if there were some high levels of glucose in the early days of the pregnancy. Growing fetus may experience many problems because of high blood sugar, including some heart and central nervous system problems. Skeletal system of the unborn child may also suffer from poorly managed diabetes of the mother. Fetal heart defects that may arise due to gestational diabetes are: septal defects, transposition of the great vessels and coarctation of aorta. Other problems can include: hydrocephalus, ancephaly, meningomyelocele or sacral agenesis. Macrosomia or reverse of macrosomia (intrauterine growth restriction or IUGR) can also be medical conditions of the unborn baby caused by mom’s diabetes. Babies can either be too large (in macrosomia) or too small (in IUGR) for their gestational age. Macrosomic babies can’t be delivered vaginally but with c-section procedure, because of the size of the baby. There are some other problems that may occur in babies carried by diabetic mothers including: respiratory distress syndrome or polycythemia. Babies suffering from respiratory distress syndrome suffer from lack of surfactant on their lungs. Surfactant is coating the lungs, enabling the breathing in newborn babies, but in this case some enzymes needed for its production are inhibited and it can’t be produced. Polycythemia is the condition characterized by overproduction of red blood cells and the inability of the baby’s liver to metabolize bilirubin.